First look at the movie that takes us behind the scenes of one of the worst films ever made. The phrase "so bad it's great" gets bandied about too often regarding movies. Most bad movies are simply bad movies. Tommy Wiseau's The Room however belongs to that special group of awful movies that are so terrible they transcend all notions of what constitutes entertainment. 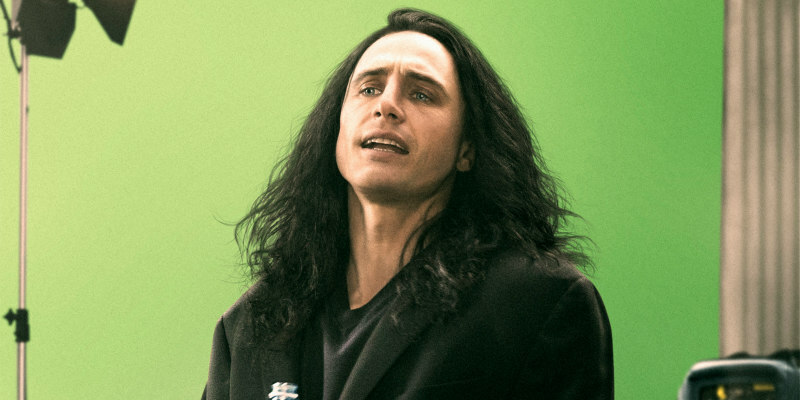 In The Disaster Artist, James Franco, who also directed, plays Wiseau in an attempt to tell the behind the scenes story of how The Room came into being. Dave Franco plays actor Greg Sestero, author of the book the film is based on. If you've read Sestero's hilarious account, you'll be hyped for Franco's movie. There's no UK/ROI release date yet, but A24 will release The Disaster Artist in US cinemas in December. A delightful tribute to the joy and madness of making movies, The Disaster Artist follows the outrageous adventures of eccentric filmmaker Tommy Wiseau and his best friend, actor Greg Sestero. These two endearing misfits move to L.A. and try to live the Hollywood dream by making their very own feature film, but end up embarking on a wildly unpredictable and hilariously unforgettable production. Leading to one of the most infamous, bizarre, and beloved midnight movies of all time, The Room.